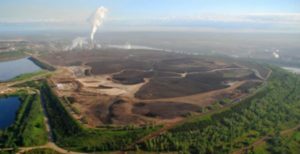 ALBERTA – Suncor Energy of Calgary has moved its planned maintenance at Syncrude near Fort McMurray to March 15 rather than the previously scheduled April start. The change will permit the company to address an unrelated issue that it says has been constraining capacity in a pipe that feeds bitumen form the mine to the upgrader. The change will impact Syncrude production, reducing it to about 140,000 bbl/d, net to Suncor. Full year output at Syncrude remains within the annual guidance range. More information about Suncor’s oil sands projects is available at www.Suncor.com.